Most Valley County residents face the threat every year of looking at a not-so-welcoming, two-toned lawn and spending all summer trying to fix it. The two-toned lawn comes about in places where tempuratures drop to freezing in the winter, which weirdly enough always seems to happen in McCall! Most homeowners really want that luscious, green lawn so they overseed or overwater. The real problem with overseeding comes from which types of grass are being seeded. Warm-season grass goes brown during the winter months due to dormancy, whereas cool-season grass stays green by the time spring roles around. Dethatching your lawn is always a good idea- separating the dead grass reduces mold, which can kill the good grass. Overwatering can also create mold, so finding that good balance of water is really important, refer to “Gardening Ideas to Beat the Summer Heat” for more watering tips. 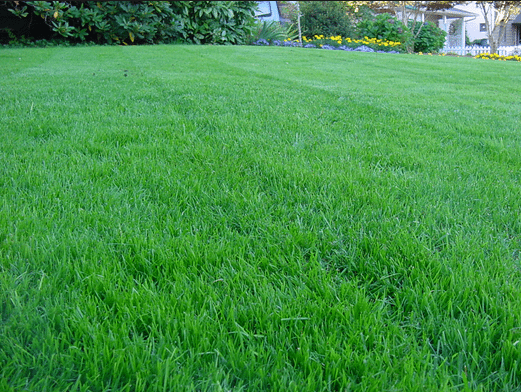 Your lawn needs uniformity so reseeding every year is the best way to ensure a healthy, green lawn. Reseeding at the right time for our area, extending the mowing season for a few weeks and watering for a few extra months are the best ways to avoid the pesky, two-toned lawn. Seeing as reseeding can be a tedious and demanding task to do every year, McCall Landscapes and Design is always happy to help you! Contact us to find out more of what we can do for you!